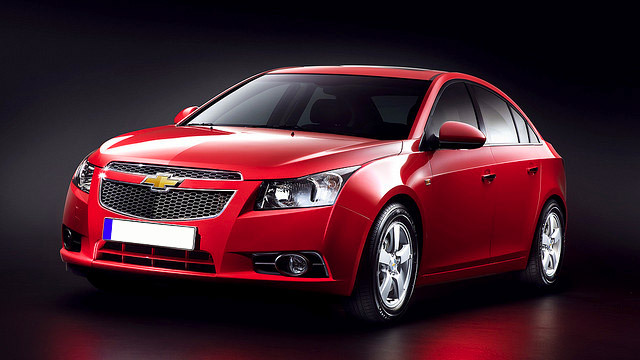 Are you looking for Chevy/Chevrolet service in San Diego? Look no further than John’s Automotive Care. Our auto mechanics are ASE-Certified and proficient in almost all auto repair services, no matter how major or minor. Schedule an appointment for your Chevy/Chevrolet, because our technicians are ready, willing, and able to assist. Our auto mechanics at John’s Automotive Care have your back. We won’t just treat you like another number. While our team efficiently and effectively services your Chevy/Chevrolet, feel free to hang out in our clean and comfortable waiting area and enjoy a cup of coffee, have some snacks, or use the free WiFi. We even have a play area for children. If the work on your Chevy takes longer, we offer free shuttle service and discounts on rental cars. Chevy/Chevrolet owners, like you, know they can rely on receive stellar auto repair and customer service at John’s Automotive Care. Our highly-qualified and trained auto mechanics are leaders in the automotive industry. Our team consistently earns fantastic reviews and testimonials from satisfied clients and takes great pride that clients choose us as their leading auto repair service center. We hope that you choose us as your premier car repair service center, too. To schedule an appointment for your Chevy/Chevrolet service, call us at (619) 304-0815. Visit John’s Automotive Care at 6267 Riverdale Street, San Diego, CA 92120.